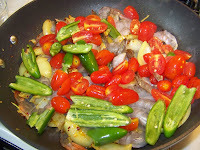 large handful of Green Chilies cut into chunks or strips. You can tailor it to your taste here. 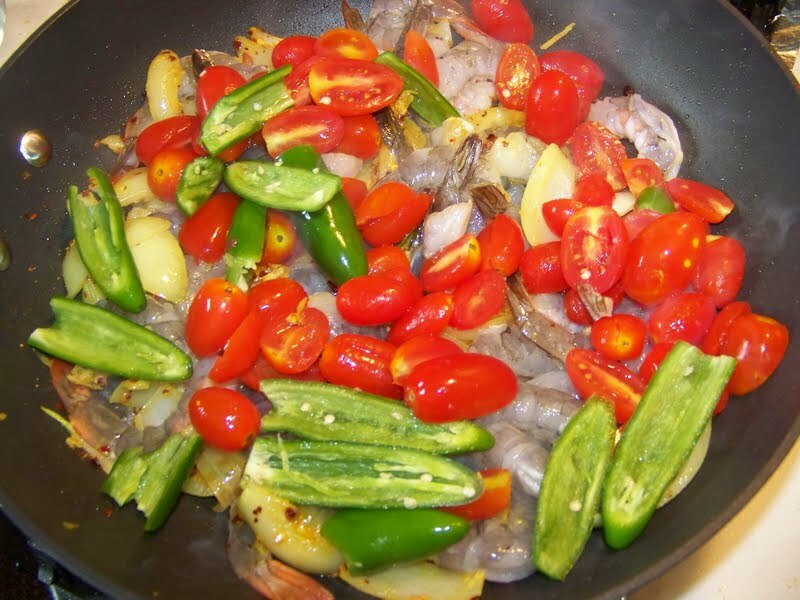 You can use green bell pepper for milder heat level all the way up to serrano chilies. Guess what I picked? Yes, I went with the serrano chilies, but I did seed them first. 1 cup of tomatoes cut into chunks (any will do). I picked grape tomatoes halved. 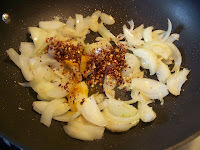 1/2-1tsp of paprika (not pictured) I mainly used this for color. 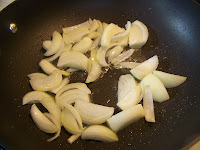 Heat a wok or large skillet on medium-high heat with 1Tbs of canola oil. 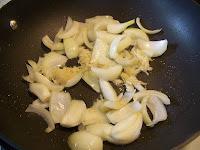 Once heated add the sliced onions and allow to cook for 1 minute. 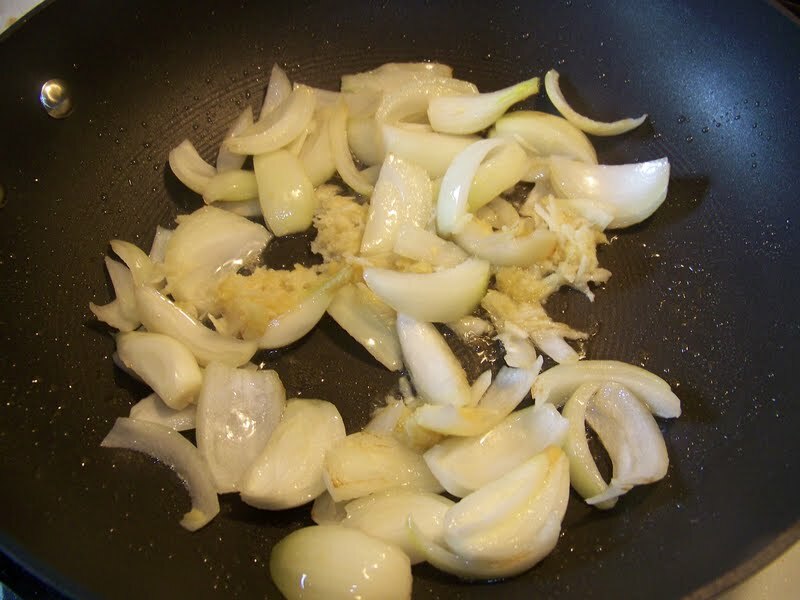 Add your grated garlic and ginger now and cook for 30-45 seconds. Add your shrimp and toss with the spices for 30-45 seconds. 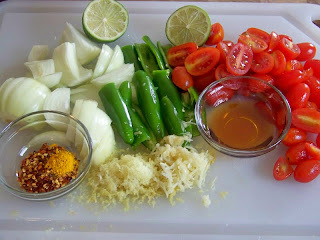 Add your tomatoes, chilies and fish sauce and toss for 2 minutes. 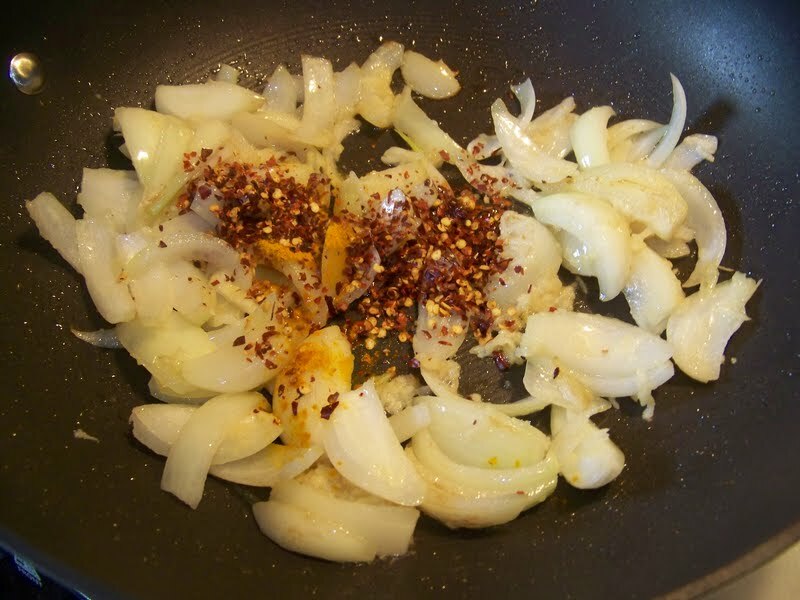 Add your paprika to the dish and give it a nice fiery color. When the shrimp is cook turn off the stove and plate up. 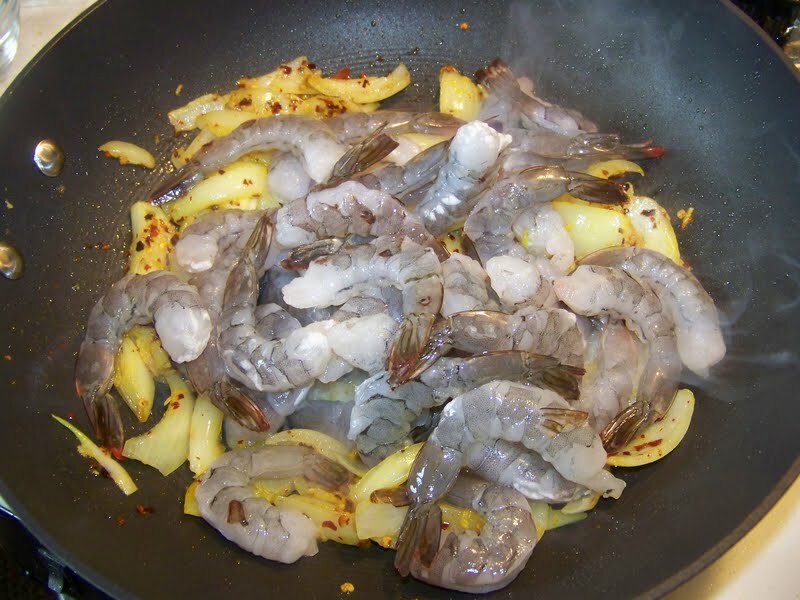 Avoid over cooking your shrimp. Finish the dish off with a squeeze of lime juice. Spicy and aromatic is right! It looks amazing! 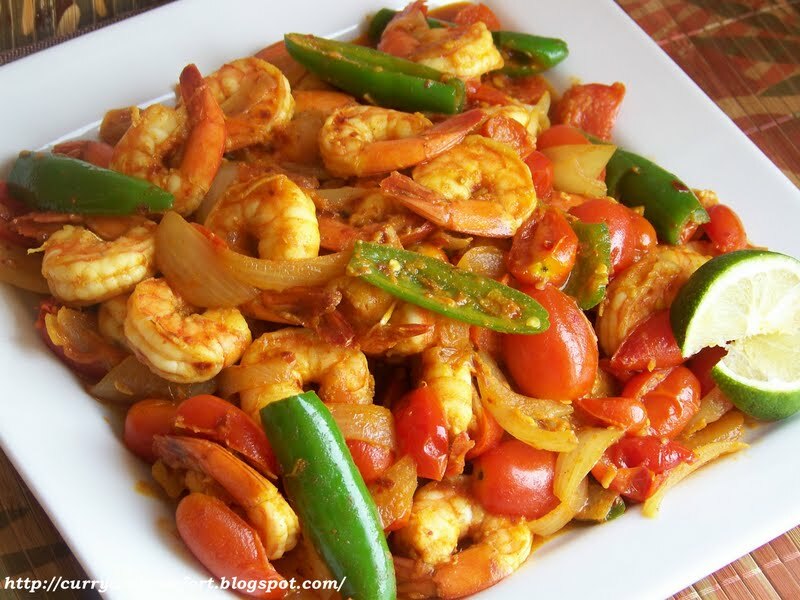 I love hot dishes! This looks so appetizing. 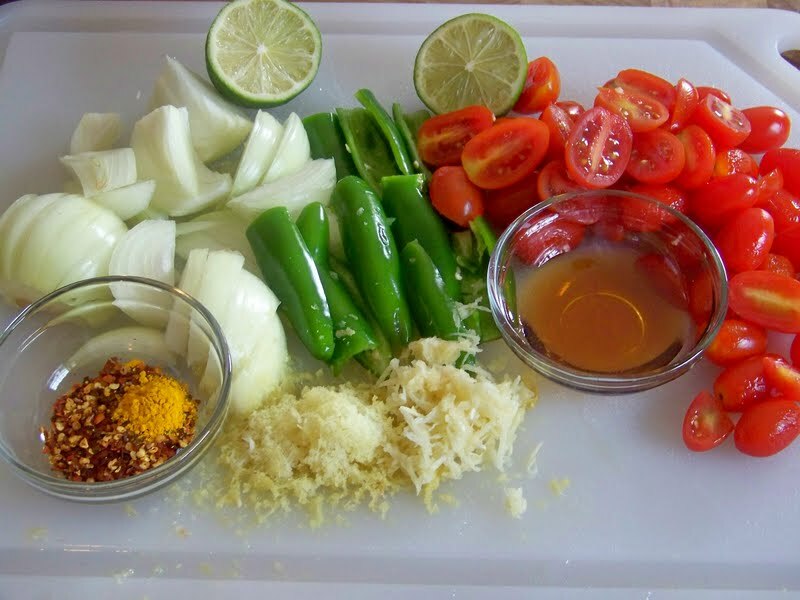 Whoa, whole serrano peppers! 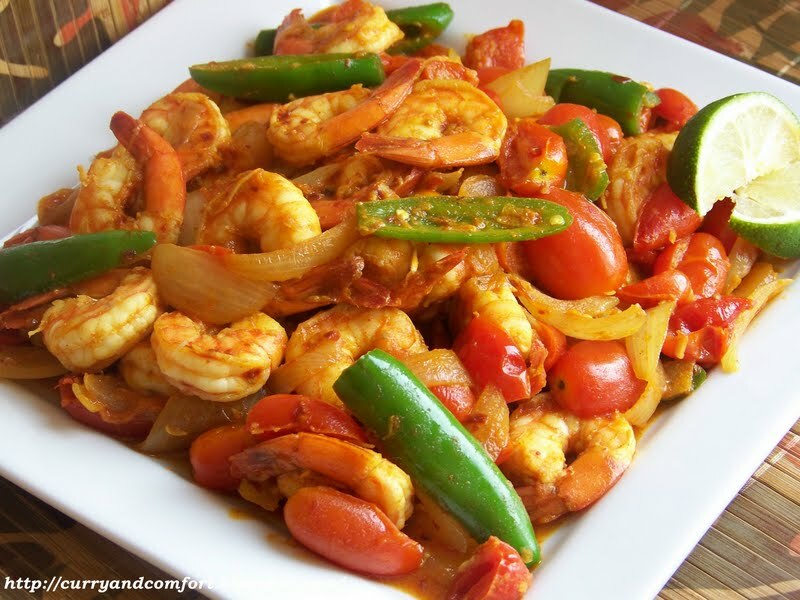 You're talking really spicy! This looks fantastic. I really cant wait to make that,I will be backlinking you soon! I simply ADORE the heat of this - shrimp is such a beautiful thing (especially when it's hot hot HAWT)! Fabulous post Ramona! 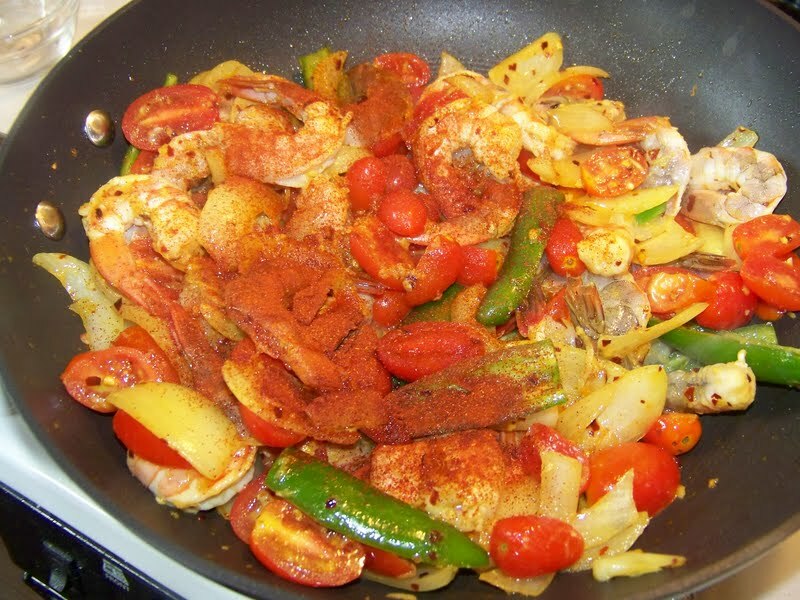 I love all the spices you've used for their color and flavor, beautifully done! I think shrimp are one of those gorgeous seafood you can't live without. 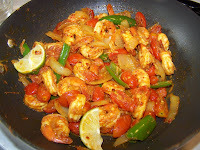 I like how quick and easy your dish looks like ..
Spicy shrimp, looks great! Such a pretty color too!